By Rodney Brooks, US News |March 30, 2018, at 12:43 p.m.
After one year of retirement, here's what you need to do. Once you get through the first year of retirement, you probably think you can coast for the next 30 years. That's not necessarily true. This is not the time to get comfortable. Things are never that simple in retirement. As you head into year two, it's the perfect time to assess what you're doing right and what you may be doing wrong. "Five years before you retire and five years after are the most important," says Reid Abedeen, managing partner at Safeguard Investment Advisory Group in Corona, California. "If you have everything in line, you are able to do certain adjustments. There is a big difference between doing them because you want to and doing them because you made mistakes." 1. Determine what's working, what's not and what needs to be changed. You may need to make changes to your investment strategy, budget and lifestyle. "Things change economically," Abedeen says. "The markets over the last year have changed dramatically." Compare your retirement income to your spending, and determine if you need to make any lifestyle adjustments. 2. Meet with a financial advisor. 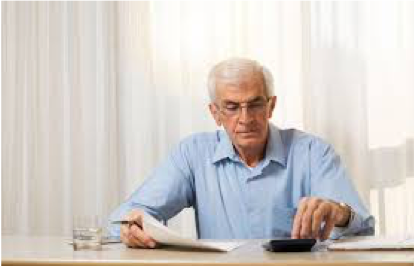 If you spent more than you should during the first year of retirement, it might be time to seek professional assistance. A financial advisor can help you make a budget and identify expenses that can be reduced or eliminated. "Most people need to have someone who is a planner or [an] advisor who is a sounding board and will be honest," says Jeff Speight, a certified financial planner and wealth advisor at Tanglewood Total Wealth Management in Houston. "They need someone who will pat them on the back if they are doing well and nudge them if they are overspending." 3. Examine your spending patterns. You must track how much you spend in order to make sure your savings will last the rest of your life. "A lot of people say, 'I spend $4,000 a month,'" says Elijah Kovar, co-founder of Great Waters Financial in Minneapolis, Minnesota. "I look at their Social Security [income] and pension, and I say you get $5,700 a month. Where is that $1,700 a month going?" Look carefully at your retirement expenses. Begin with your last 12 months of bank statements. Add the total debits for 12 months, and divide by 12. "That tells you what you are really spending, and it takes into account emergencies like when the furnace needed to be repaired and things like that new car, and even gifts," Kovar says. "I've seen people put $50 in the gift category, and they have 12 grandchildren." Take a close look at your actual expenses, not what you think they should be. 4. Consider lifestyle changes. Your finances aren't the only part of your retirement that will need adjustments. Some people enjoy the extra free time in the first year of retirement, while others struggle. For example, one of Kovar's clients was bored with hobbies after the first year and began doing volunteer work. Another client, a retired engineer, said he lost his purpose when he left his job. Some retirees even contemplate returning to work. A retirement job is less about making money and more about finding something to do. "It's doing what you are good at and social interaction. It’s keeping your mind sharp," Kovar says. "You have to get a reason to get out of bed." 5. Correct financial mistakes or miscalculations. Speights says retirees can sometimes be overgenerous with their children or grandchildren at the beginning retirement. They might do something like give $10,000 to a grandchild for college, not realizing that they are barely getting the retirement income they need. "Leave it for four or five years down the road," Speights says. "If we are on track, we can think about giving meaningful but muted gifts." Keep in mind that the investment results you saw recently will not be the same every year. "If you are up 5 percent, that doesn’t mean you can spend 5 percent more," Kovar says. 6. Figure out a Social Security strategy. Take care when deciding when to claim Social Security. Kovar says having the correct Social Security strategy is the "single, most impactful thing in retirement." 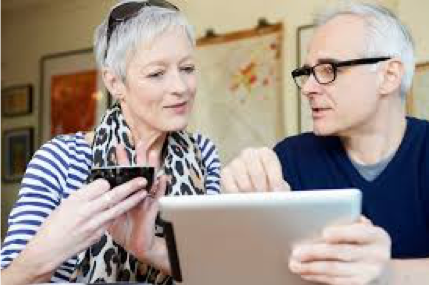 The age you sign up for Social Security will affect the size of your monthly payments for the rest of your life, and married individuals can coordinate their claiming decisions to maximize payments as a couple. Your other sources of retirement income will influence whether your Social Security income will be taxed. So, remember to consider taxes when making retirement account withdrawal and Social Security claiming decisions. "It's one of the most overlooked parts of retirement planning," Kovar says. "But it’s absolutely essential before you claim."